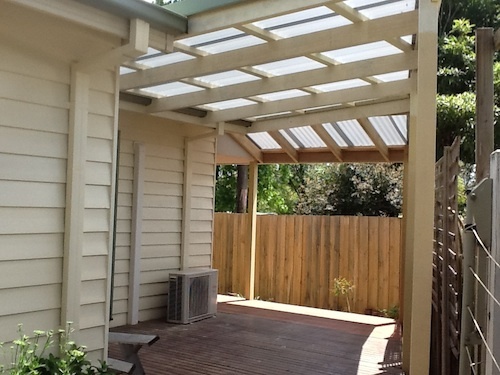 Verandah & Pergola Designs, Verandah Plans, Verandah Permits and Verandah Construction Specialists - Melbourne. Phone 0451 022 041 for Free Quote. Product strength and performance are key factors when deliberating on your dream outdoor project. 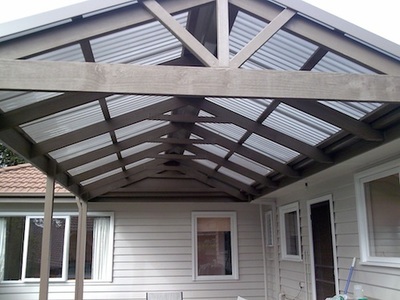 Our Verandahs, Pergolas and Carports are designed and manufactured from the highest quality materials and are comply with the relevant Australian Building Standards. Our specialist Verandah, Pergola & Carport Builders have been servicing the Eastern Suburbs of Melbourne for over 13 years. We specialise in building the highest quality Timber Decks, Timber Pool Surrounds, Pergolas & Verandah Roofs, Carports & Handrails & Steps. A Verandah Roof (or Pergola) allows year round enjoyment of your dedicated outdoor living area. Your new roof not only offers protection from rain, it also offers protection from the harsh Summer sun and damaging UV Rays. With the added bonus of helping to keep adjoining rooms cooler, a little thought and good advice regarding the roofing materials, profile and design features will ensure the right decisions are made early in the planning process. An extensive range of sheet roofing products offer multiple choices with regard to maintaining natural lighting, shading, UV protection, heat reflection, colour co-ordination and profile shape. "Polycarbonate" sheets are a very popular roofing option, but did you know that there are a number of different brands offering different qualities, durability, pricing and performance? 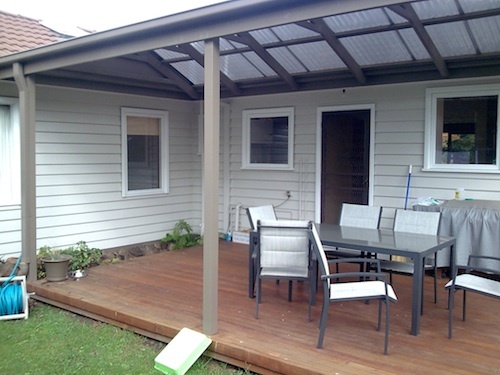 "Colourbond" is a great AUSSIE product ideal for verandah roofs. It is available in multiple colours, complete with matching gutters and capping. It is extremely good looking, durable, strong and protects from all the elements for many years. So which one is for you? Flat Roofs & Gabled Roofs provide all weather protection for your family and outdoor furniture and offers the option of taking the indoors, outdoors. While the type of decking material depends on your design, our most popular option is Merbau Timber. 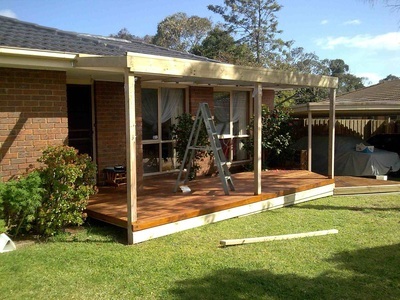 You can also use Treated Pine, Australian Hardwoods and Composite Decking (Trex). Timber Decking Now offers free advice on product selection, pricing, durability and application. All of our options are low maintenance and built to last for many years. We take time to explain the options in detail. We are very much "customer focused" and take time to listen and understand our clients needs. For free advice on your project or for us to come to you for a free quote, call 0451 022 041, email us or use the contact form to the right. You can be assured that when choosing Melbourne Verandah Builders to build your dream outdoor project, you are choosing professional operators with over 13 years experience in the space. 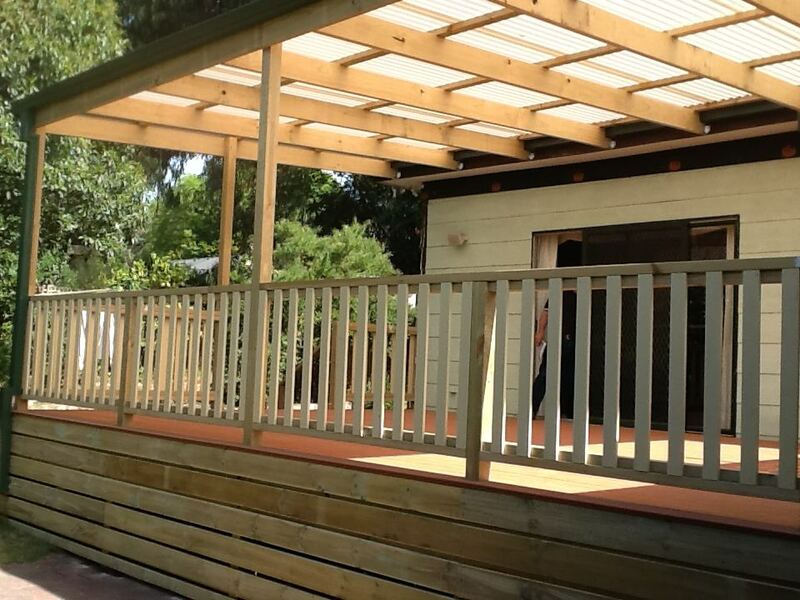 We work with you to Design a Verandah, Pergola and/or Carport that will suit your needs, now, and into the future. We provide a free in writing, onsite measure and quote at the time of seeing you. On acceptance of our quote, our in-house, expert draftsman will prepare a detailed plan for council submission to acquire the appropriate permit(s). We manage the whole process for you, from working with you on your ideas, to drafting working drawings, to finalising plans and getting permits through to construction and completion.